It seems as though it’s pretty common knowledge these days is that one of the most important aspects of very good health is to get your cholesterol level down. Not only is it recommended to get your level down but the lower the better…whether you hear it from your doctor or you see one of the bazillion commercials on TV introducing the next best statin the message is clear, low cholesterol is good for you! But is it really? And is there such a thing as too low? I remember one of my cholesterol test results many years ago, reading 143 and I also remember my dad’s response. Wow, that’s great! You’re so healthy! Boy was he ever wrong. By the time I knew better my cholesterol level had dropped down to 120 and I was a mess! I was extremely depressed, riddled with anxiety, my period was all over the place, when I actually had one, and my Vitamin D level had tanked to name a few symptoms. Little did I know how important cholesterol is and was to my overall health. Now I’m happy to say I have a cholesterol level that fluctuates between 210 and 230 and feel so much better for it. What is Cholesterol Made Of? Cholesterol is a waxy substance (a sterol, alcohol, and a lipid) found in all cells of the body. 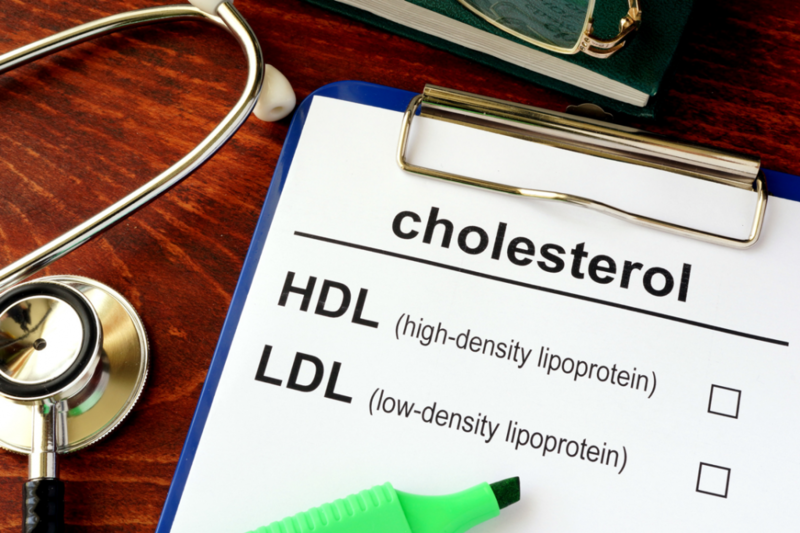 HDL and LDL are lipoproteins (molecules that are made of fat and proteins) that carry cholesterol throughout the body. While some cholesterol comes from the diet, actually very little does, most is made by the liver and that can be greatly influenced by your diet and lifestyle. LDL (the so called “bad cholesterol”) carries cholesterol from the liver to the cells and is used to make steroid hormones and vitamins and cell membrane structure. HDL carries excess cholesterol back to the liver to be excreted from the body. Cholesterol is what the body sends to the arteries when inflammation causes damage to the arterial walls. This is why it’s so important to control inflammation in the body rather than how high your cholesterol levels are. Cholesterol is used by the body to make bile which is used to aid digestion mostly in the digestion of fats. Maybe you can see why I felt so much better after getting my cholesterol level up. In the elderly population it’s shown the people with higher cholesterol have better memory function. You are at an increased risk for ICH or hemorrhagic stroke with low cholesterol, especially in the elderly. So, I strongly suspect the motives of the pharmaceutical industry and their overall influence in the newer recommendations of lowering the healthy cholesterol level from 210 down to 200. A friend of mine had a heart attack in his 40’s and the standard protocol is to be prescribed cholesterol lowering medication and he was. His overall cholesterol was lowered to 100, he died at home a year later of a massive heart attack. Obviously, you can have low cholesterol and still suffer serious complications. It’s not necessarily relative to low cholesterol but rather less oxidation and inflammation in the body to cause LDL oxidation. I’m not saying not to take your cholesterol levels into consideration, but I am suggesting that getting your cholesterol below 200 should not be your goal. Over all nutrition to include what you are eating and important nutrients you’re taking (call the office for a consult if you’re unsure of what to take) reducing overall inflammation and finding why it’s happening plays a very important role in overall health, how you feel and cognitive function. And of course, exercise! We will look at one very important factor to look at when going for a physical and that is your triglyceride level. If you are interested in learning how you can treat high or low cholesterol through a better diet, contact the Feely Center for Optimal Health!